Here you can see the pictures of the project presentation at the end of the workshop. While we came up with a fully functional interface, the open-source hardware is still under development, so an EMOTIV EPOC was used for the tests and the experiment (even if fully planned) will have to wait for the completion of all the necessary prerequisites. 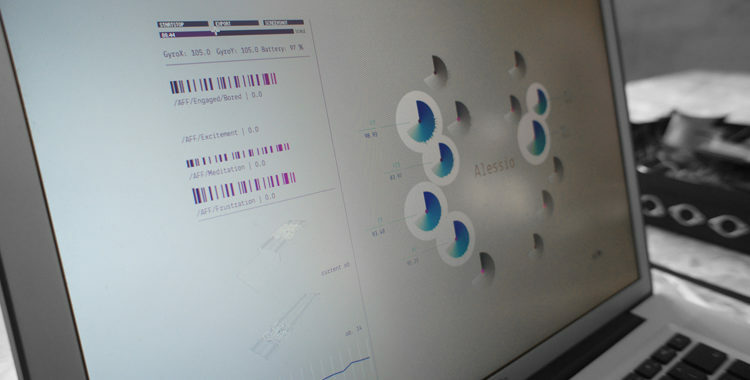 As a team member, Alessio was mainly involved in the interface design, entirely done in Processing. Stefano Adamo, Eugenio Battaglia, Danilo Di Cuia, Alessio Erioli, Nicolò Loprieno, Giulia Marzin, Piero Molino, Michele Pastore, Leonardo Romei, Matteo Stefanielli, Antonio Vergari. The open source code developed is available here.